United Hospital Center’s (UHC) Bruce Carter United Orthopaedic and Spine Center located in Bridgeport, WV—a member of WVU Medicine—provides a wide range of musculoskeletal physician services. In addition to its orthopaedic services, it also offers neurosurgery, pain management and outpatient rehab for a one-stop experience. 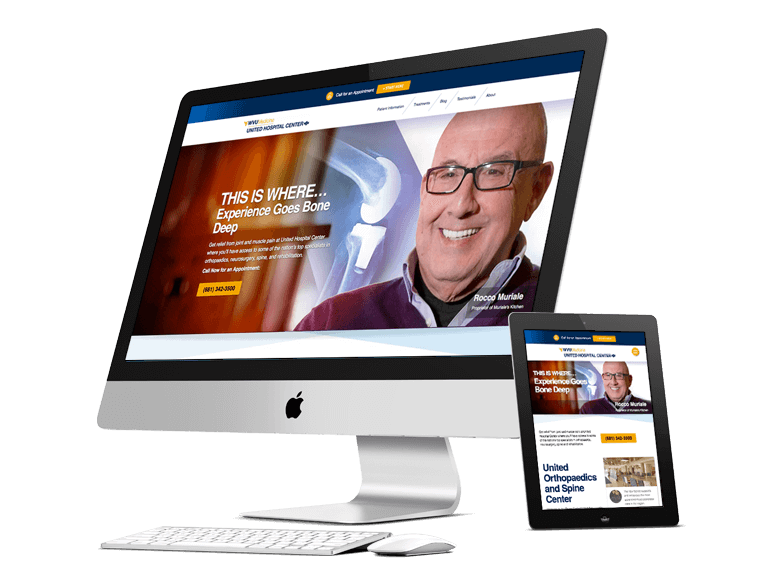 BlaineTurner Advertising created a conversion-centric site that highlighted key information for patients and was responsive on all devices. 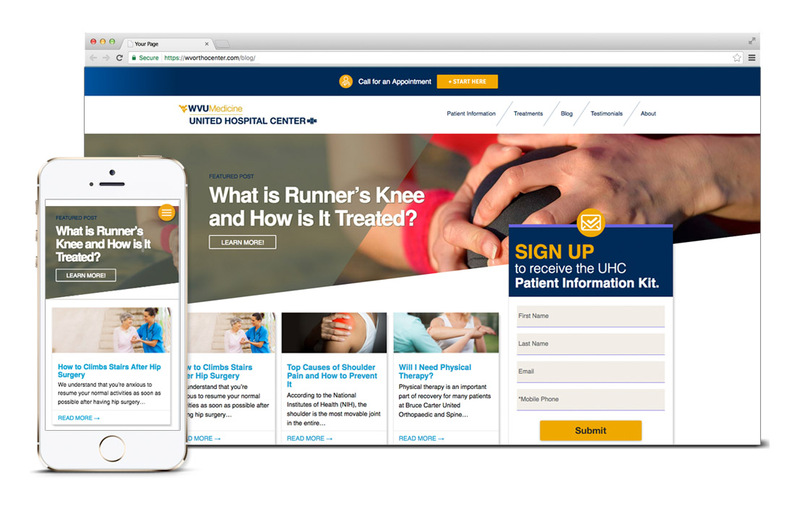 In redesigning the UHC Orthopaedic and Spine website, BTA added supporting information to all orthopaedic and spine treatments provided, as well as a physician assistants summary with visual content for patients to learn about their local healthcare providers and engage in a healthier lifestyle.